god me too! its really addictive! Probibly the best Jet song, better than anything on Get Born. It's the most catchy song they've done too. Try 'Stone Cold Crazy' and 'Sheer Heart Attack'. Some of the early Queen stuff is way, way heavier than the later stuff. 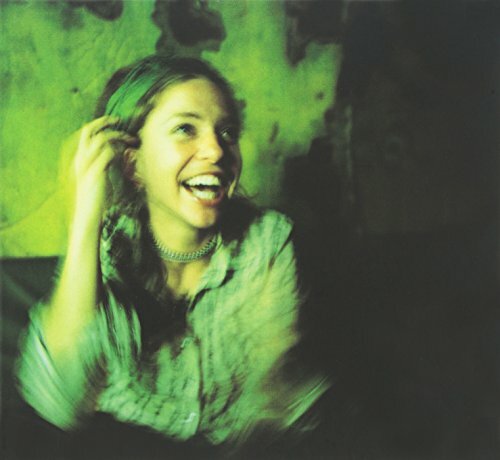 Let's introduce Ani Difranco to your musical tastes. the title track from her new album knuckle down is quality, she has a great voice and some amazing lyrics. her playing ability is great especially with live stuff, it's mostly finger picked guitar. oh and because she also owns her own record label (righteous babe records), has been touring since the age of 11 and frequently gets into america's richest female list. this is because of her record company, so she takes all the money for her music, she also has a bunch of other cool artists on her label, which you can find out about some other time. you can listen to tracks on the music page. yep, like 'get down make love', 'dont lose your head', 'son and daughter'. i love eraly queen stuff. inuendo is my fave queen song though. oh snakepit i need more Ani Difranco! not one of their greatest, but i think it demonstrates how amazing monroe's voice can be. its a really different song, starts off slow tempo then gets funky!!! oh i love the intro, makes me sway like a mad woman! Screaming Trees - "Shadow of the Season"
Like nineties music? Frickin' hear this! They were a great band, Mark Lanegan has an awesome voice!! Stargazer by Mother Love Bone is an awesome song. This is the band Temple Of The Dog paid tribute to. I think everyone in the world whatever their musical influences should pick his album ''Grace''. This one is on the ''Legacy Edition''. Jeff Buckley is an artist that puts so much emotion in his work... it's breathtaking. The song wouldn't be the same if someone else sings this. This is one of those song that you can't help at starring at the intensity of his voice and all the pain of the lyrics. It's the most beautiful song about a lost love I've ever heard. You should watch the video, it'll improve your experience. The video is simple, but it shows how much Jeff was beautiful as a person from the inside and the outside (he died in 97). An acoustic song he did around 91/92, it appeared on the Singles soundtrack. there are simply no words to desribe the beauty of this song. Gavin Rossdale's new band, Institute's first single is a harder sounding song than Bush. Never-the-less, it's a very catchy, and well written song. It's also featured on the Stealth movie soundtrack. I like this song a lot becuase im going through that. Long story short I was with this girl in mexico for vacations when school was out and we were together. Then the I came back and left her and I hope to see this December. Soul Singer from the sixties. Ok its not a rock song but it has to be one of the most relaxing songs ever. this man had one of the greatest voices in music history. i call it a story teller voice, where there could be limited lyrics but the vocals give every single word depth and meaning. I honestly think his death (at just 24) in one of the greatest losses in music. This is the first song that Eric Clapton wrote all by himself. Steve Winwood gives a great performance on vocals.